As seen today, new sidewalks are going in near the new tracks on the 4600 block of Broadway. 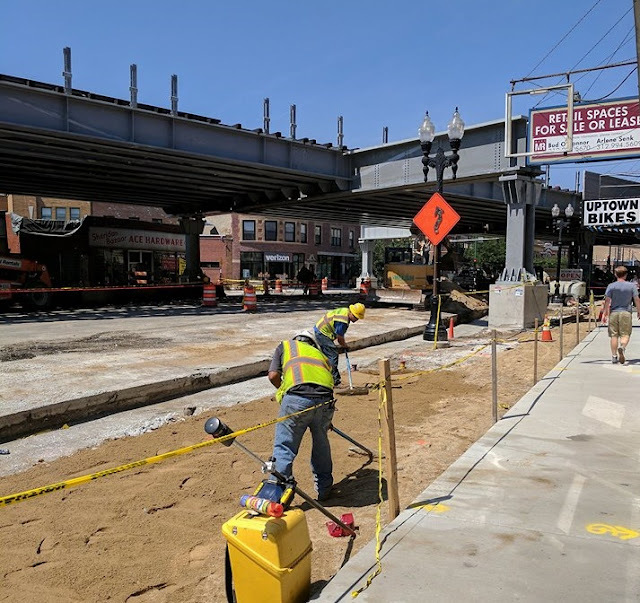 Just a few more months until the long Wilson Red Line project reaches completion. We look forward to the repaved street as well.